Making her solo exhibition debut in one of Tai Kwun’s inaugural contemporary art shows is So Wing-po, a local artist who, much like the former police compound, has history with the area we now call Soho. So, who grew up near Tai Kwun in her family’s Chinese pharmacy, dives into this past for her exhibition Six-Part Practice. 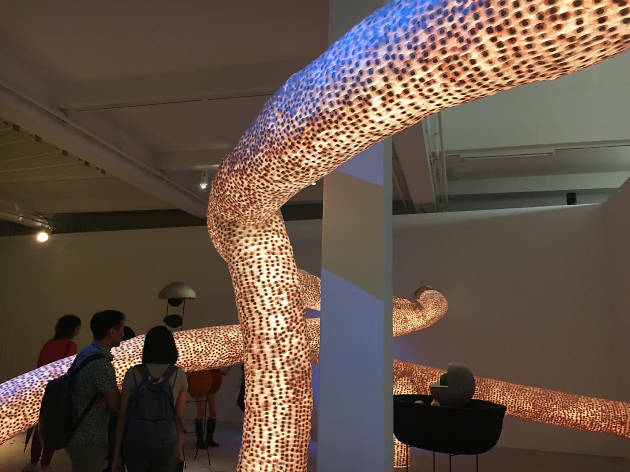 Using Chinese medicinal herbs and minerals to create immersive sculptures and installations, join the Chinese University graduate in her exploration of the juxtaposition between the microcosm of the body and the macrocosm of the universe. Accompanied by textural works by acclaimed Hong Kong writer Dung Kai-cheung, this exhibition is a fascinating take on the history of Hong Kong.